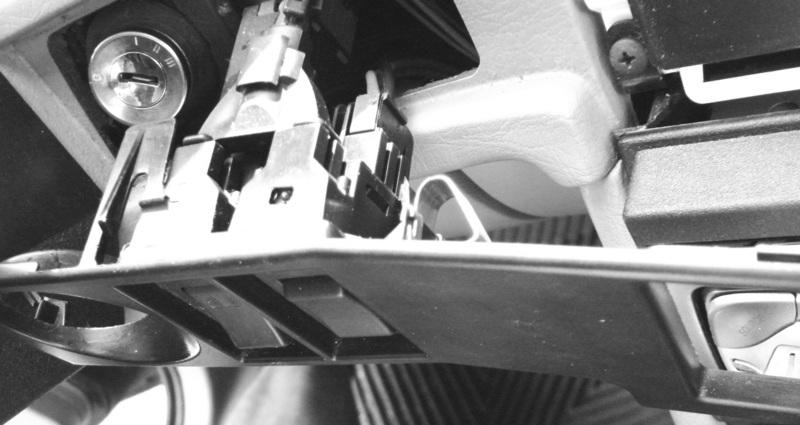 If your sunroof switch fails to open or close the sunroof properly, it's time to replace it. Consider finding a replacement switch at your friendly local junkyard. Brand new from the cheapest website, this part costs around $38. I got mine for $10 at Rainbow Auto, near Bellingham, Washington. The previous owner of our 940 said a mechanic wanted to charge her $100 to replace it. Figure 1. 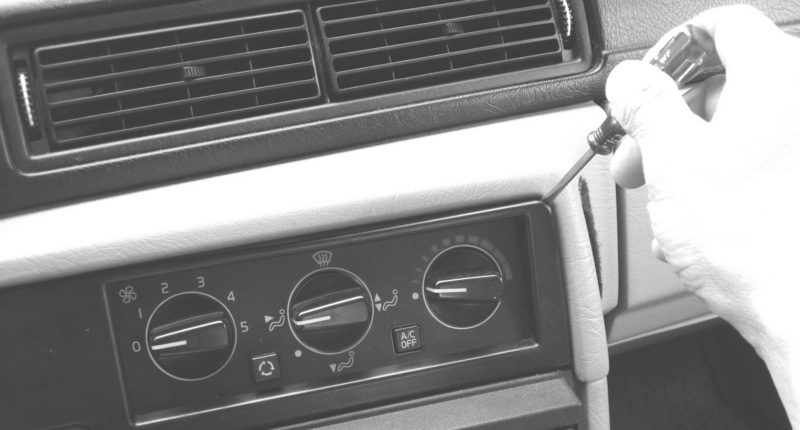 Use a small flat-bladed screwdriver to gently pry out the trim around the heating/air-conditioning controls. 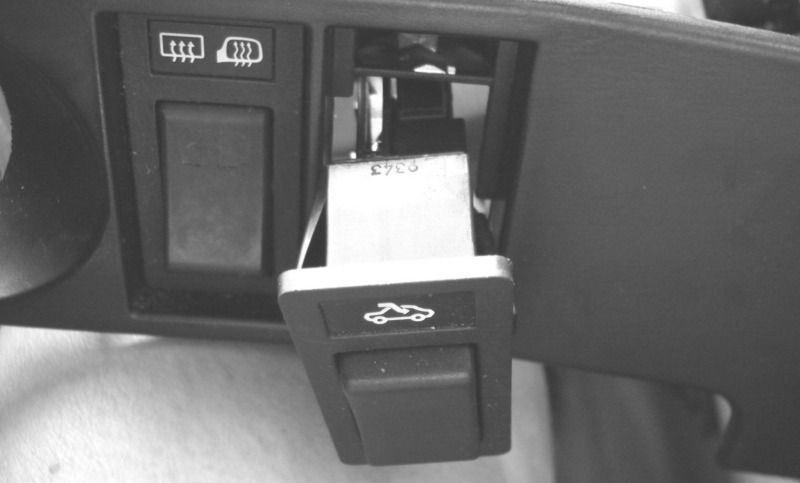 This trim plate extends from the right, as shown, to just left of the ignition key lock. There is a spring on the back side of the faceplate just to the right of the sunroof switch. Exert gentle prying pressure here to pop the faceplate free. Figure 2. Faceplate is free. Gently pull it off. Figure 3. 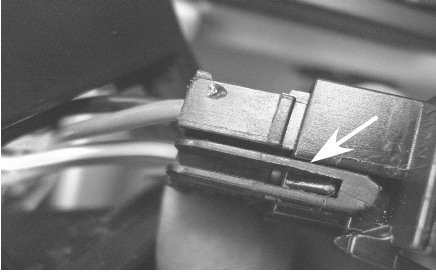 This photo shows back of sunroof switch with its connector. Note metal retaining clip to right of sunroof switch. Figure 4. 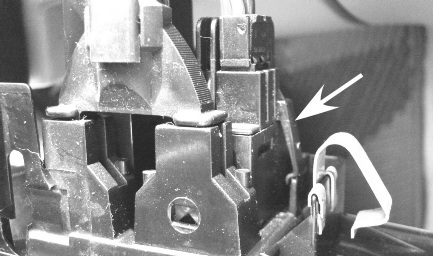 Press on plastic retaining clip (arrow) and push everything forward through the faceplate. Figure 5. Sunroof switch pushed out. Figure 6. Gently pry on yet another plastic retaining clip (arrow) on connector and pull it free from sunroof switch. Note how switch connects to connector and position of switch when removing. Replace with new switch in same position. If you weren't careful observing, the left side (driver's side) of the switch goes to the 2 and 4 connectors. Installation is reverse of removal. Figure 7. 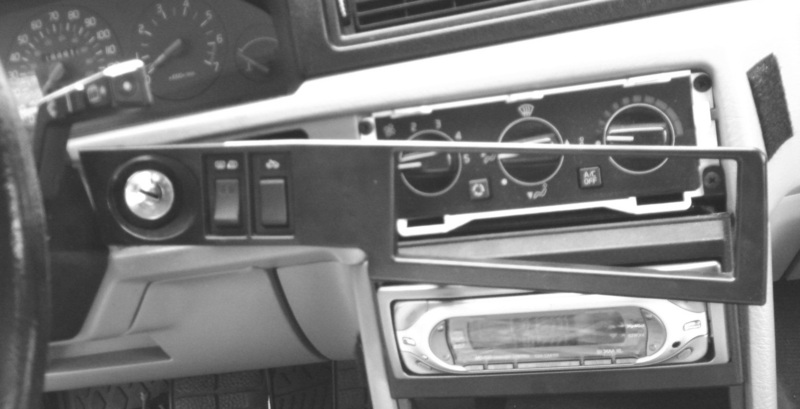 On 740s, the sunroof switch may be the model at left. It is disconnected via the long-tailed connector shown. You access it per above.